– Instant exchanges to all other cryptos on our platform. – Withdrawal to any Visa or Master card issued by any bank in the world. – Crypto purchasing and selling with bank transfer. – Withdrawal to custom bank card. Offering these services we cover basically all major ways to buy and sell your crypto. 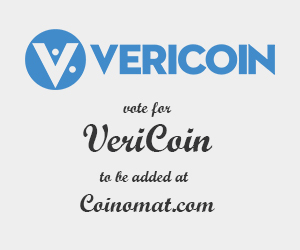 Liquidity is what cryptocurrency scene is lacking at the moment, and providing more fiat liquidity can be a great popularity booster for Vericoin.